Most Of US and Western Media Networks Such as CNN, BBC and specially Fox News keeps on showing their biasness on different issues. Sometimes by lying, sometime by showing one side of the news and sometime by hiding the news completely. These Media Groups keeps on attacking Muslims and Labels them as Terrorists but they hide the Facts about US and Israel's War Crimes. They talk about Terrorism but not discusses causes of Terrorism. They speaks against Al Qaeda, Taliban and Saddam Hussain but not talks about who was supporting them few decades ago. Sick Mentality of US Media was Exposed Again when recently Host of Fox News Channel Sean Hannity claimed that US has right to take complete Oil of Iraq for giving it Liberation. 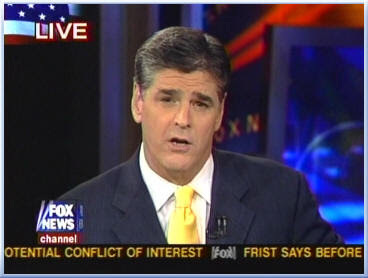 I think Sean Hannity has forgotten that US attacked Iraq by lying that it has Weapons of Mass Destruction which where never found. US has killed more than one Million Iraqi Civilians till now. Today People of Iraq are facing Terrorism everyday which was never existing in Iraq before US Invasion. What Liberation US has given to People of Iraq? Sean Hannity if you are so interested in Liberating Countries than why you not talk about Liberating Palestine from Israeli Occupation? Why you not talk about Liberating Kashmir from Indian Occupation? Why you not talk about Liberating Afghanistan and Iraq from US Occupation?